I hope everyone is enjoying the nice weather and seasonal temperatures over the past few days. 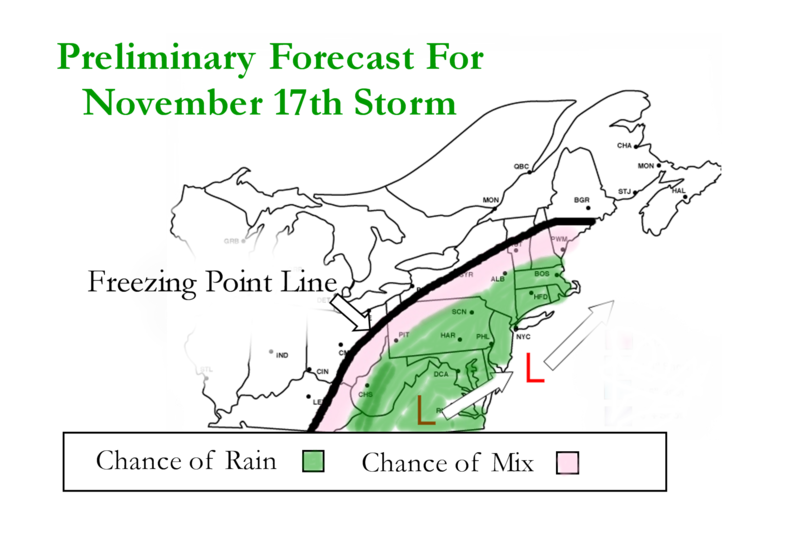 I want to look ahead to our next storm system, which is looking to come next Tuesday or Wednesday. Forecast models have been showing a low pressure cutting through the Southeast and into the Northeast. Let me make it clear: this will not be a snowstorm! We just do not have the cold air and the sun angle for a snowstorm. After looking even further ahead, it looks like we won’t be even thinking about snow until after Thanksgiving. what about the chance of a snow storm next week?